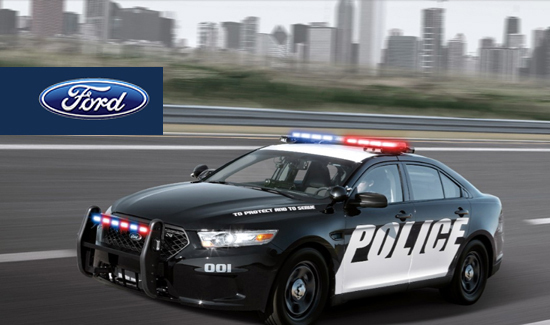 Ford has been a big supporter of American Police Beat for many years and we are proud to report that the EcoBoost®-powered Ford Police Interceptor sedan bested all V8-equipped competitors’ sedans in testingby both Michigan and California authorities, while Ford Police Interceptor utility with EcoBoost out-accelerated the competition’s all-new V8-equipped utility and all base V6-powered sedans. Will the engine start while the operator is sitting on the seat belts? Can it be driven while viewing a computer screen? Does the comm system require using hands? Does it have a warning device that can be heard more than a mile down a highway by someone in a closed vehicle? Can it stop in rain and snow from high speed? Is there an emergency off-road crash beacon? If you want to save officers’ lives the last thing an adrenalin reved operator needs is a rocket ship.